Ashby Burks is a shareholder in the Nashville office. He is a member of the Firm's Health Law and Business practice groups. Mr. Burks engages in a broad corporate practice, emphasizing mergers and acquisitions, joint ventures and other business transactions. 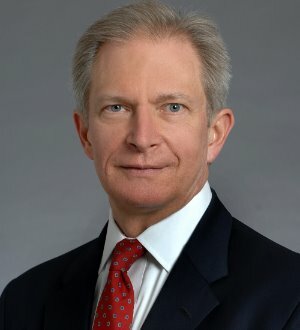 He has served as counsel in the purchase, sale or joint venture of more than 100 hospitals and other investor-owned and not-for-profit health care businesses. During 2012 Mr. Burks was lead counsel on nine closed M&A or financing transactions in Arkansas, California, Missouri, Tennessee and Texas. Among these, he represented the investors in the sale of their multi-facility behavioral hospital company and a private equity-backed hospital company in the purchase of a controlling interest in a physician-investor hospital joint venture. The latter transaction also required restructuring of the joint venture agreement. Mr. Burks was previously Vice President, Secretary and General Counsel of Quorum Health Group, Inc. He was a member of the five-person executive management team which developed strategy and set policy for the company. His responsibilities included retaining and overseeing the work of outside counsel, advising the Board of Directors and senior management on legal and business matters affecting the company, and managing the company’s legal department. While at Quorum, he led the legal team which successfully settled major False Claims Act litigation against the company while simultaneously overseeing negotiation and completion of the company’s acquisition by Triad Hospitals, Inc.